Nike Dry fabric moves sweat away from your skin. Brushed interior provides a soft, warm feel. Performance fit with hood is streamlined for a slim look. Raglan sleeves allow a natural range of motion. Side pockets provide a place to warm your hands. Contrast stitching on the inside adds color. 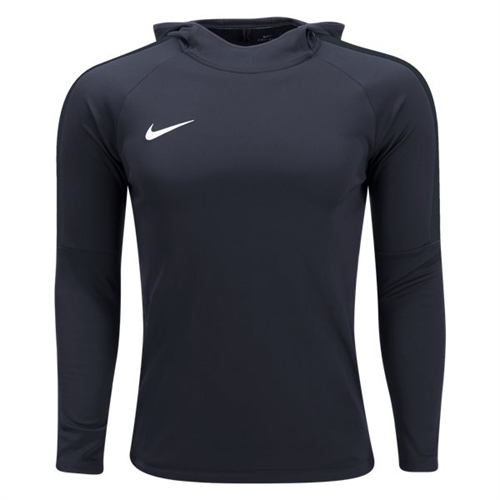 Our Nike Academy 18 Hoodie Pullover has sweat-wicking Nike Dry fabric is brushed on the inside to provide a soft feel against your skin and help keep heat in. The Performance fit with hood is designed to stay close to your body without restricting your movement during high-speed training sessions.